At 11 a.m. Mountain Time, on a particularly unpleasant day in November for those who live or work in oil country, the price of heavy Western Canadian Select (WCS) sat at $19.86 per barrel. Half an hour later, it had dipped south of $18, signaling yet another week of increased volatility. John Stringham, manager of fiscal and economic policy with the Canadian Association of Petroleum Producers (CAPP), decided to use the moment to make a point. The intersection between what customers pay for oil on either side of the border and the availability of pipelines to move product to tidewater has become a hot-button issue for economists and politicians alike. The lack to capacity to transport Canadian crude to foreign — and even domestic markets — has meant that jurisdictions like Alberta and Saskatchewan end up selling oil at a steep discount compared to their competitors. According to Stringham, between January and the end of October, the absence of market access led to $3.7 billion USD in lost revenue. To make matters worse, the Alberta treasury has estimated that every dollar above a $22 differential costs the province in the neighborhood of $210 million. To put it in perspective, the gap is now approximately double that mark — around $44 in the forward curve, suggesting a cost to the province of more than $4.6 billion. Perhaps the most significant short-term impact, however, has been the outright loss or deferral of capital investment. Lower prices result in tighter margins, which leaves fewer dollars on the table for new exploration or equipment upgrades. Construction and manufacturing are among the industries bearing the brunt. 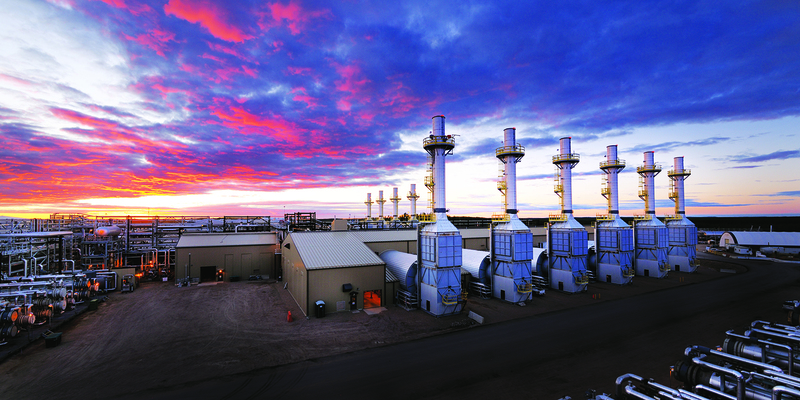 David McHattie, the newly elected national chair of Canadian Manufacturers & Exporters (CME) and the director of public affairs in Canada for pipe-maker Tenaris, says the integrated nature of the country’s resource-based economy creates a ripple effect when times are tough in the energy sector. Next door in Saskatchewan, Steve McLellan is echoing that sentiment. McLellan, who heads up the provincial chamber of commerce, was cautiously optimistic when the federal government stepped into purchase the assets of the beleaguered Trans Mountain pipeline back in May. But the Court of Appeal’s recent decision to quash Ottawa’s approval of the expansion has soured any hopes of limiting the damage. While a majority of the Trans Mountain work would arguably flow toward Alberta or B.C., McLellan believes that Saskatchewan still stood to benefit to the tune of hundreds of millions — if not billions — of dollars in procurement. Unfortunately, that work is now probably at least two years away. And although most suppliers can keep the lights on through a protracted downturn, eventually, a shift may be necessary. “Saskatchewan doesn’t have oil sands, but it is a big enough piece of business that it affects the entire resource sector,” chimes Eric Anderson, executive director of the Saskatchewan Industrial and Mining Suppliers Association (SIMSA). “Our heavy oil up in Lloydminster and Kindersley is impacted less than WCS; and, Bakken oil (the light oil being drilled in southern regions of the province) is impacted less than that, so we don’t see quite as dramatic a reduction as Alberta. SIMSA’s membership includes dozens of companies that are direct players in the oil patch, from manufacturers of pressure vessels and cabling to welding and engineering firms. The differential between Canadian and U.S. oil prices, or at least to the current extent, is not due to any singular factor. Instead, several forces have culminated in a perfect storm of adversity. One catalyst is refining capacity. Three-fifths of the refining capacity supplied by Canadian crude is located in Ohio, where 1.1 million barrels of demand have been taken offline due to maintenance. The good news is that much of that capacity is expected to return in the latter portion of 2018. The bad news is that another refinery — this time an Exxon facility — is scheduled for downtime maintenance in 2019. The second reason is a disruption in traditional supply and demand. Virtually all of Canada’s oil exports are to the United States. As U.S. companies continue to ramp up production, however, America’s reliance on Canadian shipments has diminished significantly. The third — and most politically charged — contributor is transportation. The addition of Trans Mountain’s extension to the west coast would offer up another 590,000 barrels per day in capacity. Some naysayers believe the project is dead in the water, yet Stringham is not so convinced. “Certainly, the government has shown they’re serious about this. They’ve purchased the pipeline, and have indicated their intent to quickly remedy the court’s decision,” adds Stringham.